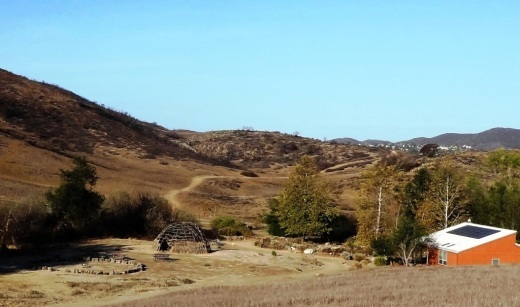 The Satwiwa Native American Indian Culture Center is located at Rancho Sierra Vista / Satwiwa in Newbury Park. Sycamore Canyon, which cuts through Rancho Sierra Vista/Satwiwa and Point Mugu State Park, was part of a Chumash trade route. Satwiwa, which means "the bluffs," was the name of a nearby Chumash village. To reflect this heritage, Satwiwa Native American Indian Culture Center and Natural Area was established by the National Park Service in partnership with the Friends of Satwiwa. View of the Satwiwa area with the Center on the right and an Indian village area on the left. In the Center is a variety of native Chumash items. Native American workshops, programs and art shows occur throughout the year. The Center is open 9 am to 5 pm on weekends, with rangers on hand to answer questions. There's a small gift shop in the Center too, as well as restrooms and a water fountain. 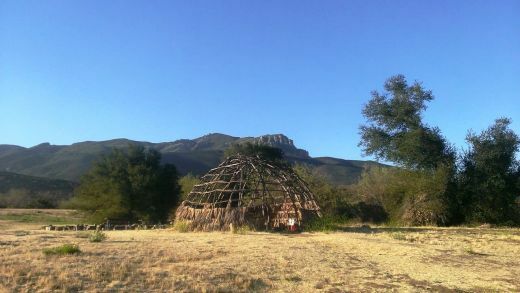 There is a Chumash house, or 'ap, on the grounds of the Center. It is made with willow trees and tule. Inside the Culture Center. The table contains items that children are encourage to touch. Small but nicely appointment gift shop in the Center has something for everyone. Park in the adjacent National Park Service parking lot via Lynn Road to the access road at Via Goleta in Newbury Park. Visit www.nps.gov/samo/planyourvisit/satwiwa-native-american-indian-culture-center.htm for more information. 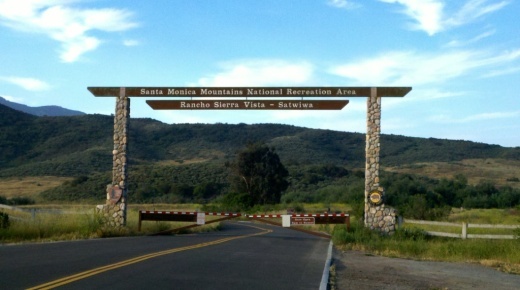 Access point to the Rancho Sierra Vista / Satwiwa area in the Santa Monica Mountains National Recreation Area off of Lynn Road in Newbury Park.